A historical rendition of a Civil War quilt. Soldiers carried quilts along with them during the war to use on cots or as bedrolls. The Soldier Album block was a typical pieced design from this time period (1861-1865). 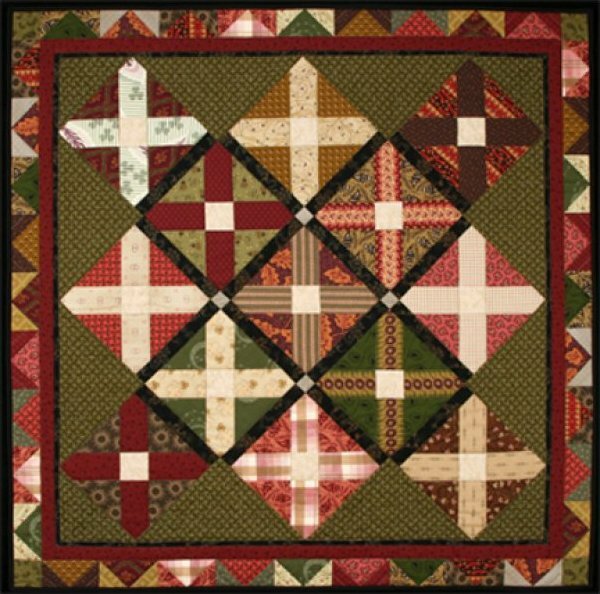 The quilt pattern is rotary cut and machine pieced using directions for the 21st century quilter.